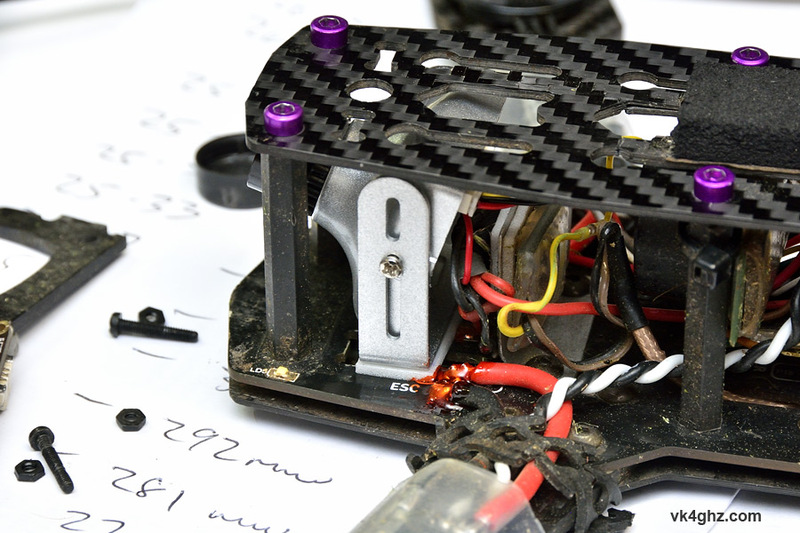 Another FPV camera died today, and it will be the last open board camera I fit… they are just too vulnerable. 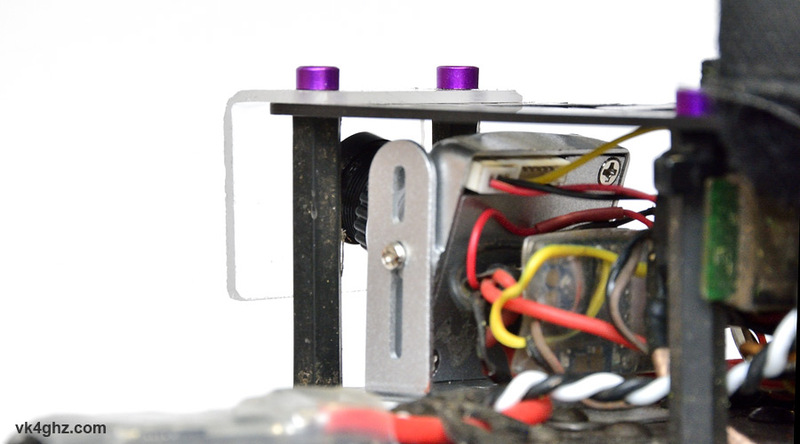 An Effio-V board camera weighs 15g, the version in the housing weighs 22g. I couldn’t care less about 7g more. It’s also much easier to adjust the tilt! The nose of the top plate was ground back with an angle grinder a small amount to provide a straight line across. They are a bricks ‘n mortar, or you can order on line. 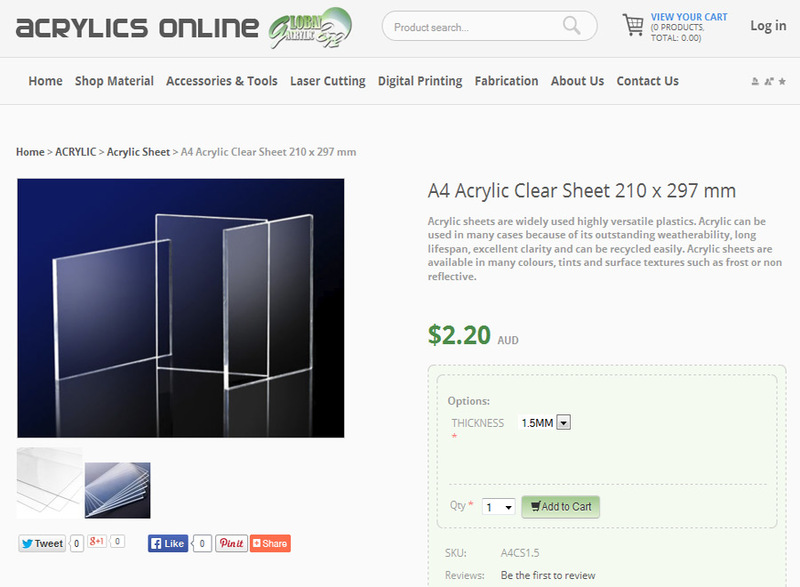 A single A4 sheet is $2.20, and you can cut 35 protector shields out of it… making them around 6 cents each to make. Mark it up, use a hacksaw to cut, then drill out, starting with a small 1.5mm bit and progressively drill out (acrylic is quite brittle, so take it easy). The 90° fold is easy. (Sorry – should have taken a picture). Simply put the piece in a vice in between some ally soft-jaws, allowing ~3mm for the radius, and heat with a heatgun. Use something flat to push the protruding piece over 90°. 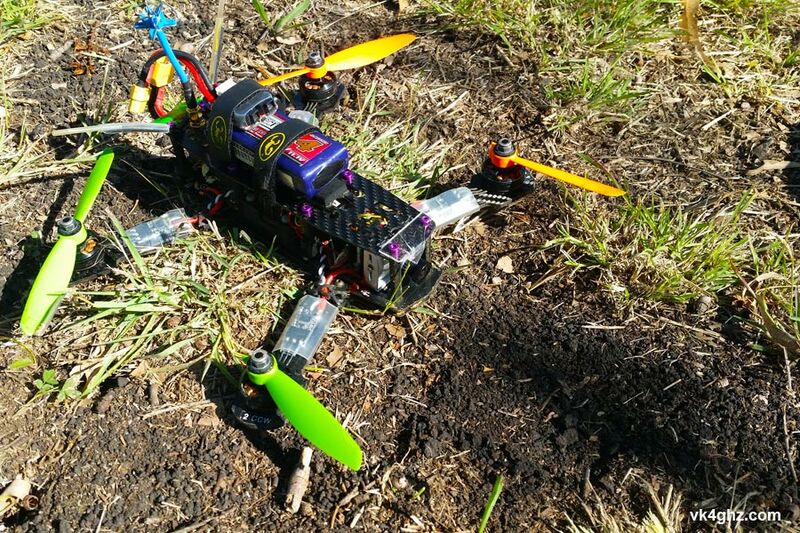 Peel off the protective layers, and fit to your mini quad. If I scratch one, who cares, they cost 6 cents each and 10 minutes to make… or make 1/2 a dozen at a time, and have some ready spares. 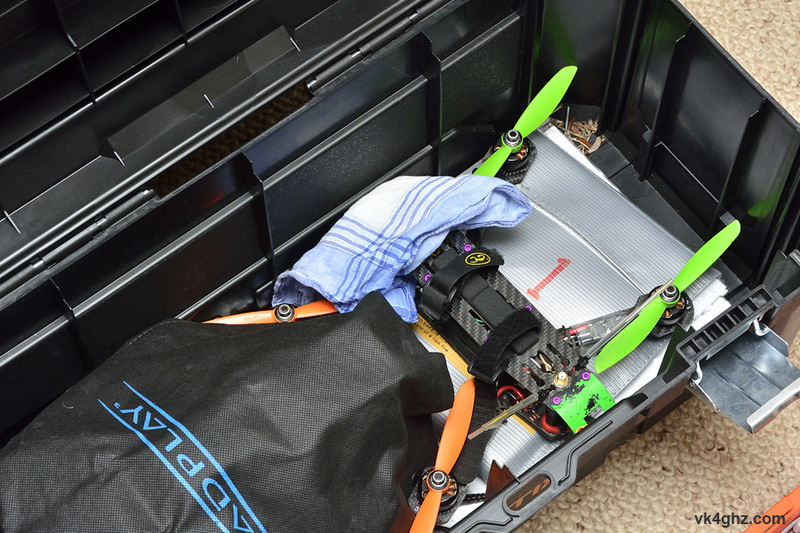 So what about preventing scratches during transport? No problem, place a handy (preferably a clean one), over the front of the Blackout – easy. After a trial, this lens protector shield works well, and does not create any extra lens flare from the glare of the sun, even when flying directly toward the direction of the sun. It certainly did it’s job in this crash. Two broken 6×45 props, but the camera was protected. 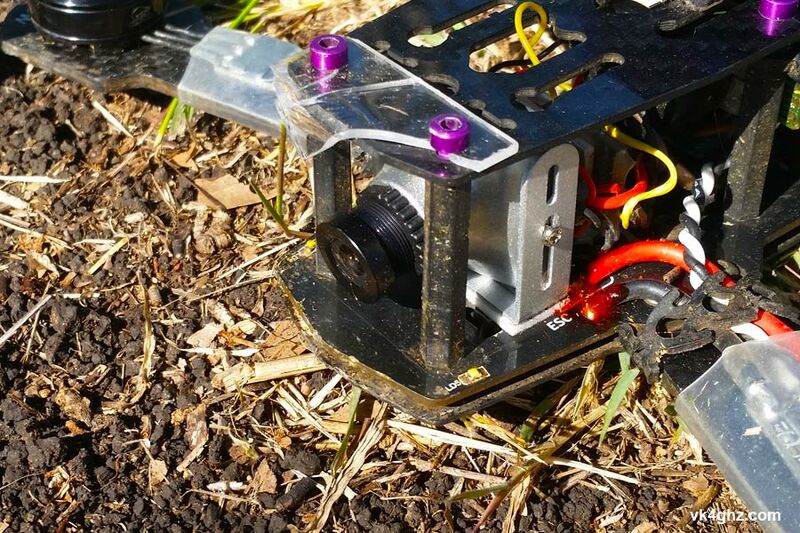 The crash actually loosened the two small screws that adjust the camera’s angle. 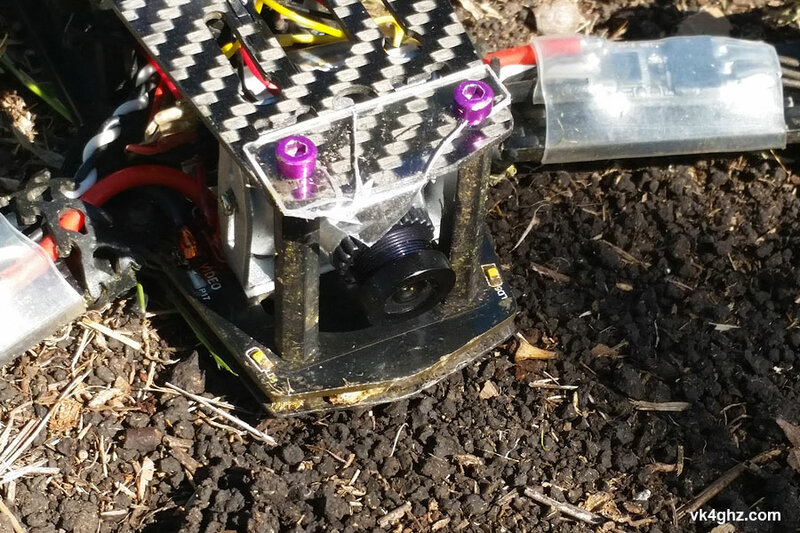 Note the camera bracket is still firmly fixed to the PDB using the double-sided tape. A 6 cent piece of acrylic saved the camera.